We couldn't have asked for a better day for Rachel and Beaudan's winter engagement session in Canmore. 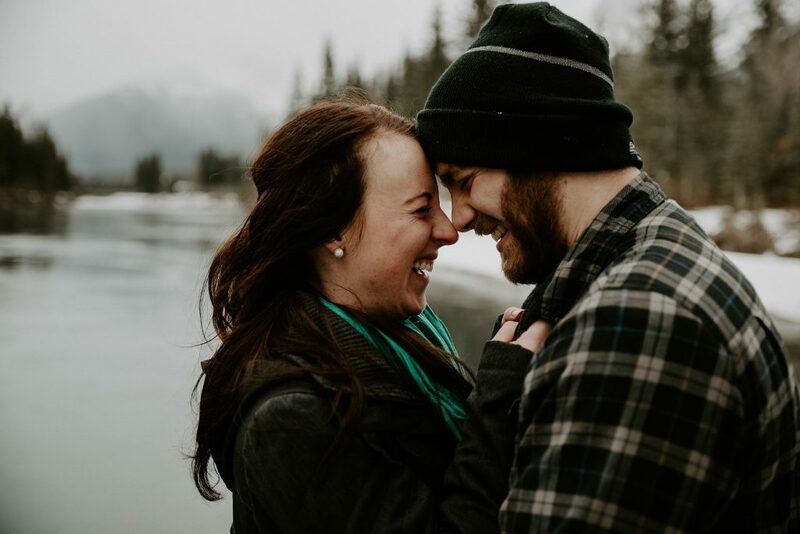 One of our favorite things that couple's do for their engagement is make a day out of it - Rachel and Beaudan traveled out to Canmore for the weekend. After this Lake Minnewanka engagement session, we say - give us all the wind! Despite it being freezing cold, and super windy we loved this engagement session with Cressa and Trent - and of course their boy Flex. 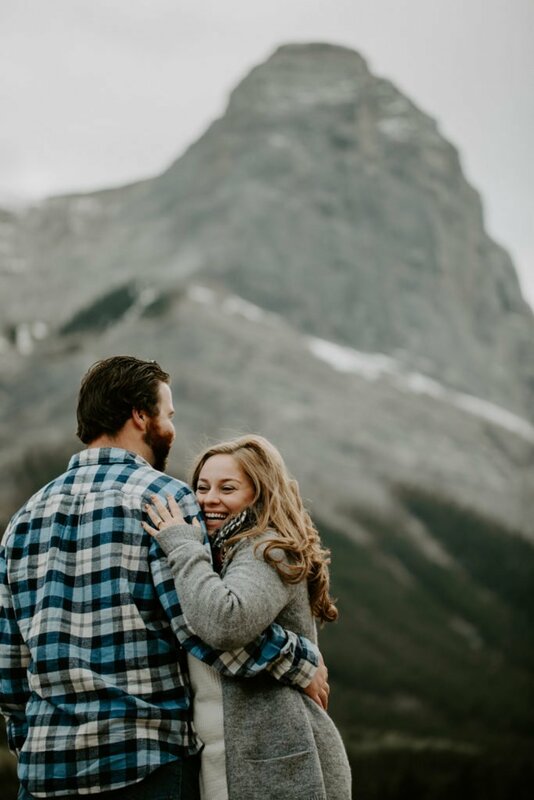 For Gill & John's mountain engagement session we headed out to Quarry Park in Canmore. We loved this location - open spaces, fall vibes, and of course the mountains as the perfect background. 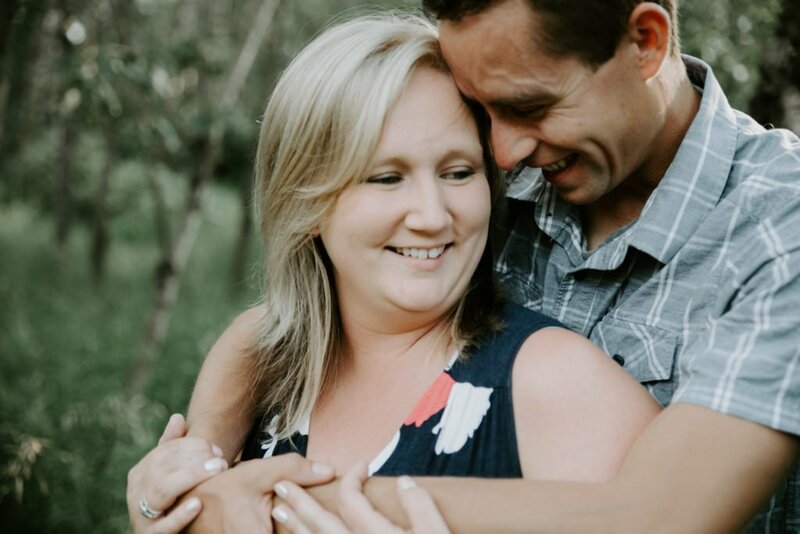 This engagement session that took place at Pyramid Lake Resort in Jasper Alberta was supposed to only be for engagement photos. Nicole and Aaron are planning to get married next summer. Before the session Aaron sent us a message explaining how the first proposal 8 years ago didn't go as planned and he wanted to do something special for Nicole.